Dollar Bin Horror: Happy Thanksgiving Everyone! 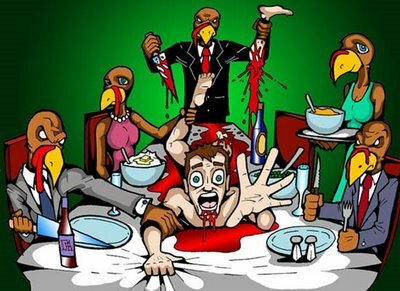 I just want to wish everyone a healthy and happy Thanksgiving today. I hope it's filled with great food, football, and just a hint of holiday horror. 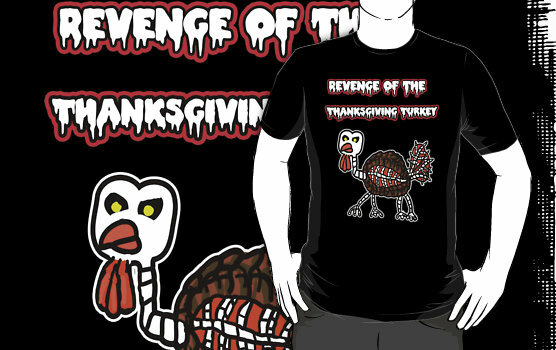 And while your in the Gobble Gobble spirit, I wanted to share a funny Zombie Turkey shirt I just found! How cute is that!?! You can snag your own by clicking HERE. Happy Thanksgiving folks! "Thankskilling"! 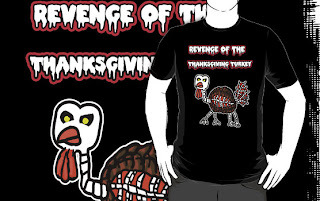 It's about a homicidal turkey. So bad, it was funny! We watched it the other night, I couldn't stop laughing!